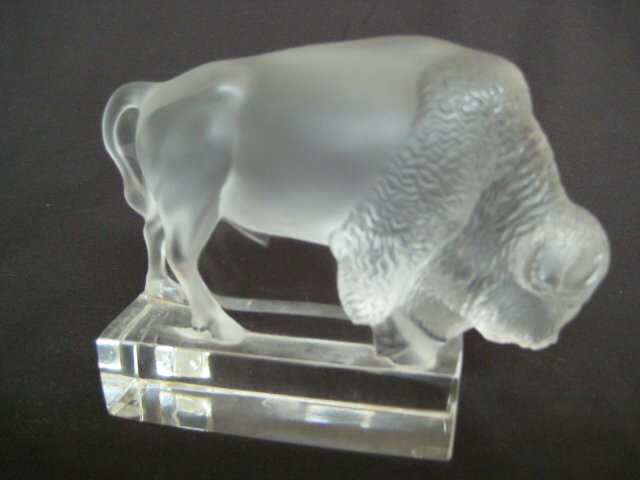 Lovely old hand crafted Lalique France Clear and frosted glass buffalo figurine / paperweight. 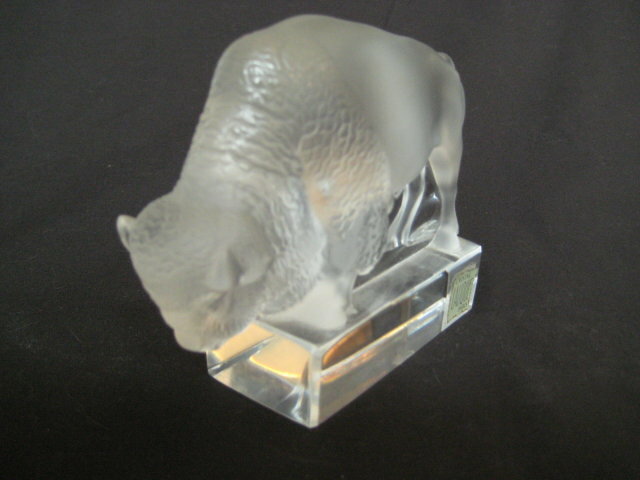 Figure is 3 3/4 inches high, 4 3/4 inches long and is in very good condition, not worn, no cracks, no chips. 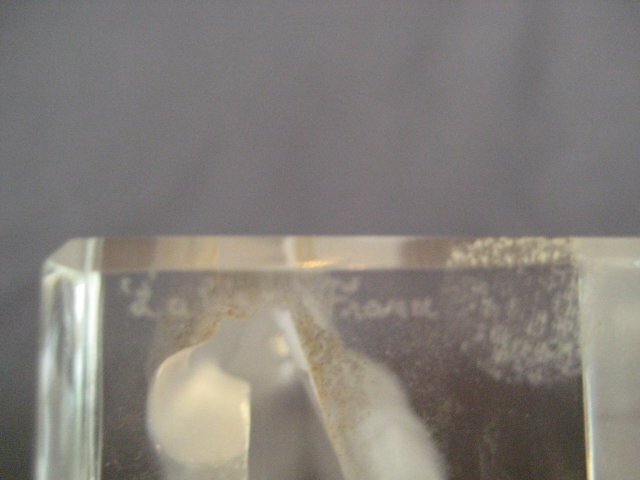 Signed Lalique France on the base. 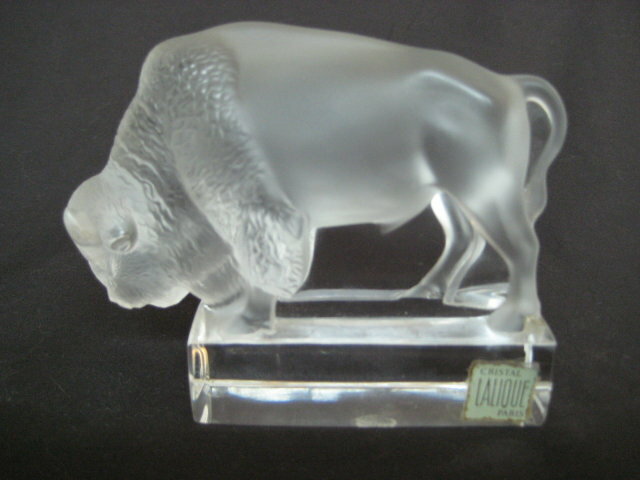 Items Similar To "Old Lalique France Clear & Frosted Glass Buffalo Figure / Paperwe..."
Lalique France Clear & Frosted Glass BORNEO ELEPHANTS Vase 12"
Mid Century Modern Lalique France Clear & Frosted Glass COME Vase 11"